London Vauxhall Tuneless Choir launched into song on the evening of Wednesday 10th January 2018. 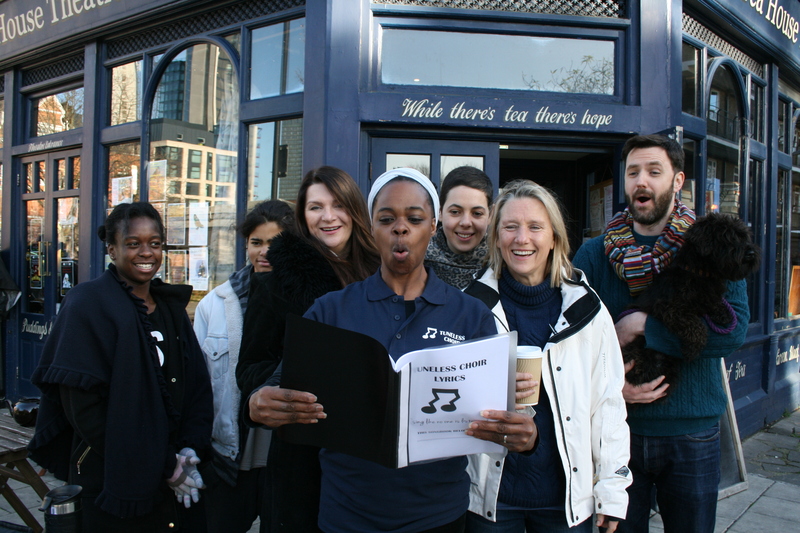 The choir meets at the delightful Tea House Theatre at 139 Vauxhall Walk, Vauxhall, London SE11 5HL. It’s close to Vauxhall mainline station and the Victoria line tube station. 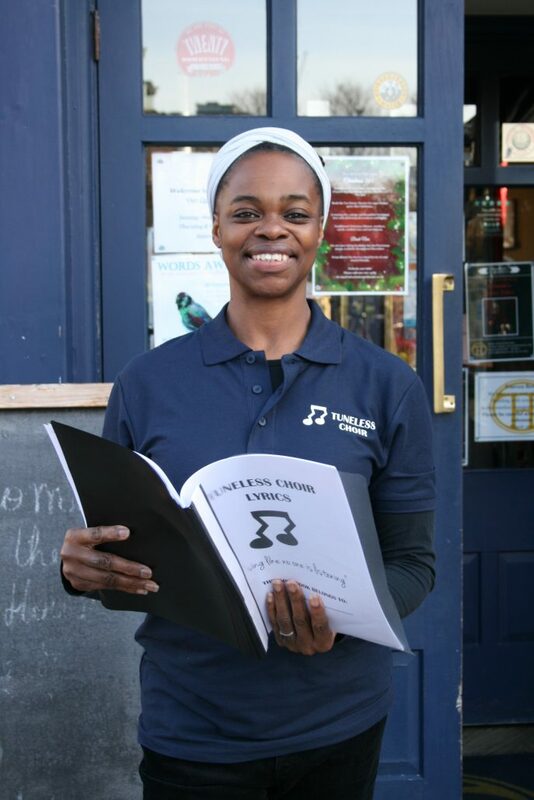 The choir has been set up by Talibah Rivers, herself an accomplished vocalist with a passion for jazz, but with a belief that singing should be for everyone. When arriving for the first time please arrive between 7.15 and 7.45 to register and hang out with our lovely members before we start singing at 8pm. we finish singing at 9.30pm. Newcomers pay £15 the first time they attend which includes registration and that session. After the first session, the regular price is £10 for ‘pay as you go’ or you can pay in advance for a term for the equivalent of £7.50 per session. Contact us by emailing londonvauxhall@tunelesschoir.com or calling Taibah on 07752 522 636. During 2018 we have appeared at Lambeth Country Show and St Thomas’ Hospital for Breathe Arts Charity conducting interactive workshops and encouraging the audience to join us. You’re welcome to join us anytime – it doesn’t have to be at the start of a term. It’s a good idea to sign up to our mailing list below, so you’re kept up to date with what’s happening.